Want to cuddle with Susanne? It’s no secret, cuddling is good for you! Good for your body. Good for your mind. And good for your soul. Something magical happens when someone holds you and accepts you right as you are in that moment. I love cuddling! 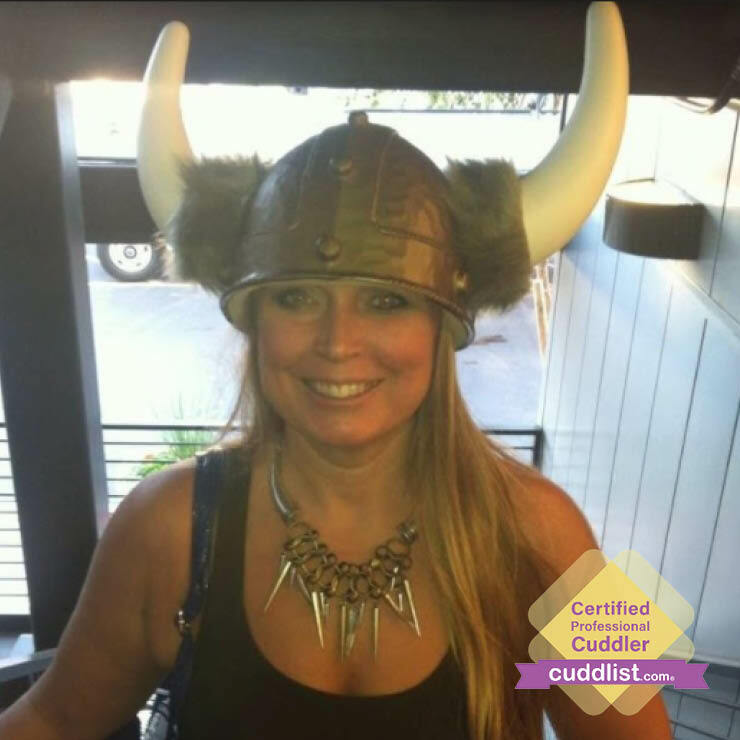 I bring my experience as a cuddle party facilitator, therapist, and listener to my sessions. Just the act of taking time out from the outside world and the long list of things to do, is so wonderful. I encourage you to take the time out for self-care. Relax and ENJOY! I conduct my cuddle sessions in a massage therapy treatment room in my own spa. The spa is a chemical free zone, so please no cologne/perfume or heavily scented products. I will usually diffuse some calming essential oils and light a candle. I generally use a soft music station on Pandora, but am open to suggestions. We will begin our cuddling sessions with a mutual communication agreement. I encourage my cuddle clients to ask for what they want. Often, this starts just with being able to identify what type of touch is desired, then putting it into words, and then actually receiving what you asked for. Cuddling in this way can be a huge growth potential in communication outside of sessions. At the end of your cuddle session, I not only want you to feel relaxed and nurtured but also empowered. I'm a massage therapist specializing in Craniosacral Therapy I facilitate cuddle parties here in Tempe several times a month I'm also a reiki master and comfortable with all sorts of energetic healing modalities I'm trained in advance energy dynamics and teach people how to live vibrant healthy lives physically mentally and spiritually I have a big background in science (PhD in chemistry) education and psychology So feel free to talk nerdy to me!